The LOIRP team has done it again! 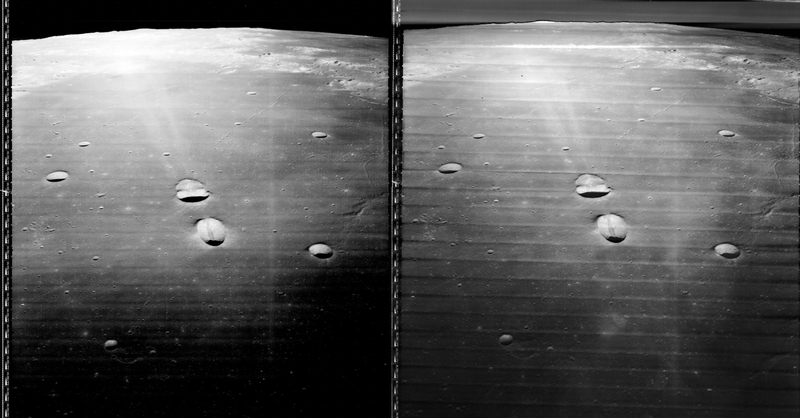 They recently reprocessed the original Lunar Orbiter image LOV-041M— a cool oblique shot showing Messier craters A and B—and then compared that image to the best quality LRO and USGS images. You can see from the comparison image above that they have largely removed the banding artifacts from the original image along with some contrast adjustments. We like to download the full resolution LOIRP images and see how far we can zoom in before the images begin to look pixilated, and we are consistently amazed at the level of detail preserved. 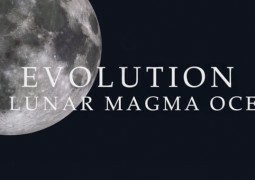 It’s a great way to explore the surface of the Moon, try it yourself; find a good internet connection and download the full 652 MB image and zoom in and around and you too will be blown away. It is as if you are on a spacecraft skimming the lunar surface! 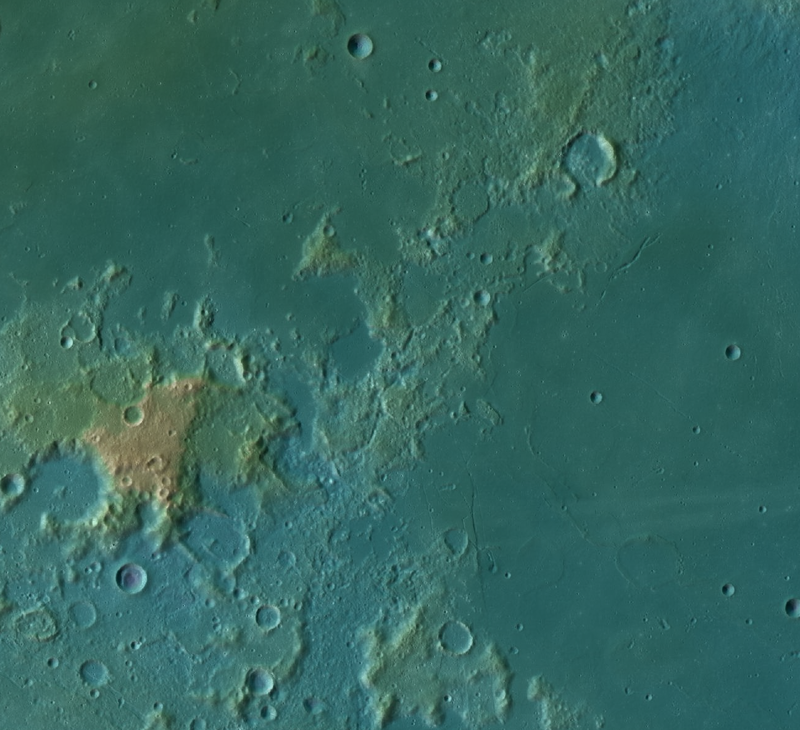 One thing that is just so fascinating to us is how the oblique images can really help put the moon in context when trying to get a sense of an area. It’s as if you are standing on a lunar mountain looking out across the moonscape; you can actually see how high a mountain is that just looks like a bump when looking down on it from a vertical bird’s-eye-view perspective. Above you can see a portion of the LOIRP LOV-041 image; below is the image from the Arizona State Quickmaps looking straight down into the same area. The reprocessed LOIRP images preserve and enhance these rare oblique pictures of the lunar surface, whereas it is very difficult, if not impossible, for the push-broom style LROC camera on LRO to take oblique shots like the original Lunar Orbiter did. Looking at the two images together gives both an intimate AND overarching perspective to the landscape— a real treat for any lunar scientist. 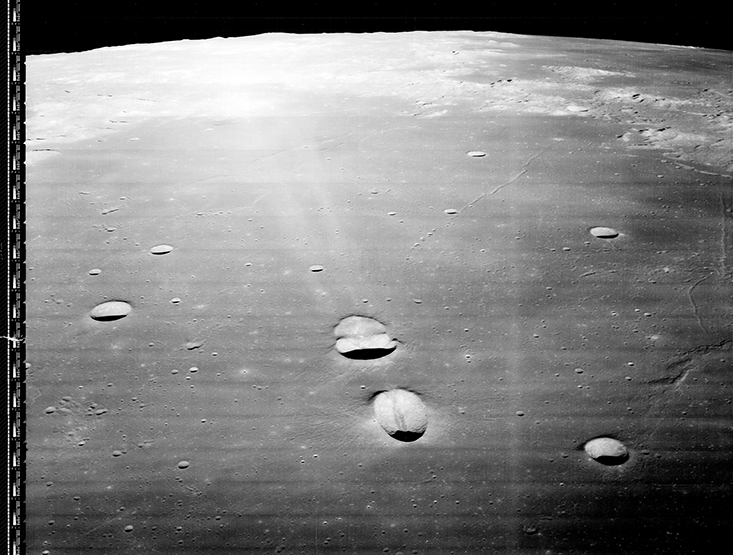 Be sure to check out this and other remarkable LOIRP images at http://www.moonviews.com/.